FLOWERS COVE, N.L. -- Police say a Newfoundland patient assaulted a paramedic and then stole an ambulance. RCMP said Monday that a 48-year-old man was being taken to hospital on Friday evening when he became violent. 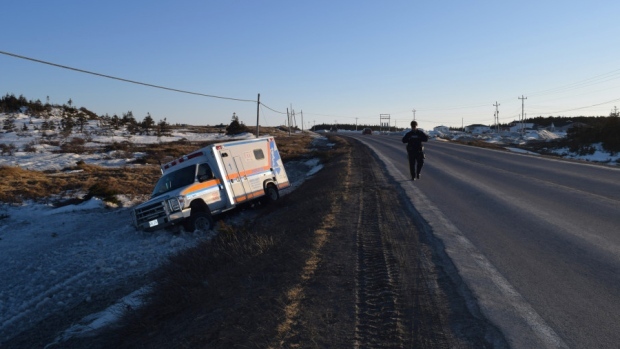 A photo released by the Mounties show an ambulance in the ditch, stuck in the snow, in a rural area near Flower's Cove. They say the investigation is continuing and charges are pending.